Following the American victory in the Revolution, the Delaware struggled against whites as they moved onto the natives' territory. In 1794, General Anthony Wayne defeated the Delawares and other Ohio natives at the Battle of Fallen Timbers. 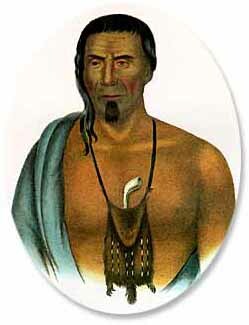 The natives were forced to surrender most of their Ohio lands with the signing of the Treaty of Greenville in 1795.